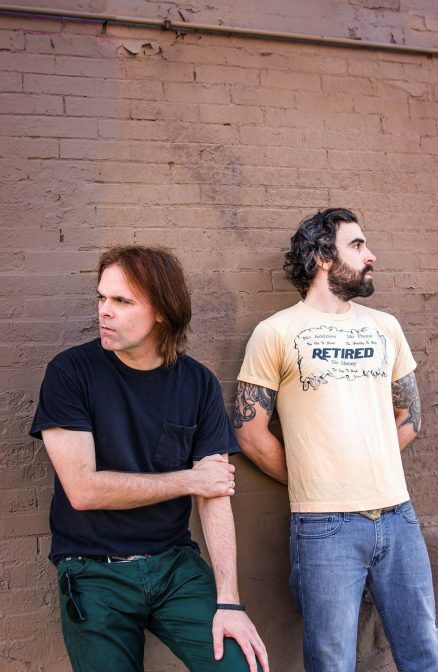 Local H is known for their blistering live shows and for pioneering the two-man band set-up — frontman Scott Lucas covers both guitar and bass through an extra pick up in his guitar and drummer Ryan Harding pounds out the rest of the sound. While they have earned praise in the past for their catalog of clever concept albums, Local H have forgone a singular theme on their most recent album — Hey, Killer (out April 2015 on G&P Records) — turning out a non-stop blast of straight-up, hooky, guitar-heavy rock songs — each one catchier than the last. The band’s discography includes seven other studio albums, a live album, and a bunch of EPs and “Straight Outta Zion,” a Blu-ray concert video (release date 8/12/16). Local H’s widely praised 1998 concept album Pack Up the Cats earned a spot in SPIN magazine’s top 20 albums of that year. The band was named “Chicagoans of the Year” by the Chicago Tribune for their 2008 break-up album, 12 Angry Months, more than a decade after their breakthrough hit “Bound for the Floor” ruled the Modern Rock charts. In 2015, Local H celebrated the 25th anniversary of their first show and released a career-spanning coffee table book, Local H: Twenty-Five Years of Skin In The Game. Earlier this year, they re-issued their 1996 album, As Good As Dead, on vinyl for the first time.